Real cases of Lyme disease are curable with cheap generic antibiotics, the costs of which are usually covered by health systems. Therefore, any fundraiser for Lyme disease treatments is likely to be for fraudulent “Chronic Lyme” treatments. 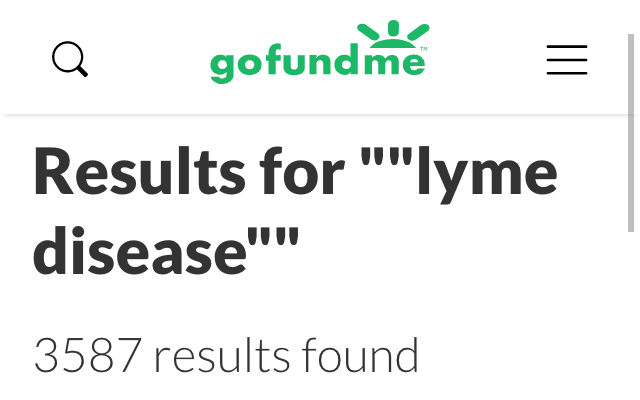 Crowdfunding sites such as GoFundMe have hosted thousands of questionable fundraisers for so-called Lyme disease. Ethicists writing in JAMA were particularly concerned about fundraisers they found for risky long term antibiotics. The deceptive promotion, advertising, distribution, or sale of a product represented as being effective to prevent, diagnose, treat, cure or lessen an illness or condition, or provide another beneficial effect on health, but that has not been scientifically proven safe and effective for such purposes. The FDA definition of health fraud does not require any specific intent to defraud. Many practitioners who advertise as “Lyme literate” are well-meaning but incompetent. 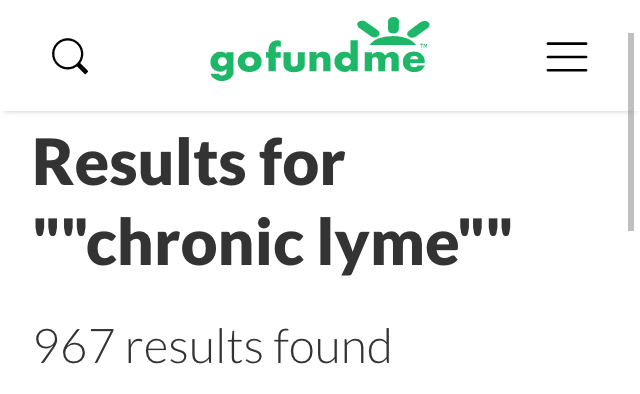 Nevertheless, chronic Lyme quackery can be very financially lucrative. Victims of health fraud who receive a fake “chronic Lyme” diagnosis are told that their health depends on seeing a “Lyme literate” doctor and avoiding mainstream doctors. Social media and deceptive pseudoscience organizations (many with “Lyme” in their names) gladly refer patients to “Lyme literate” doctors. The victims are usually diagnosed with multiple fake coinfections, which makes them even more likely to believe that a mainstream doctor cannot handle their complex situation. Therefore, “Lyme literate” practitioners have a captive market and can charge inordinate amounts of money. 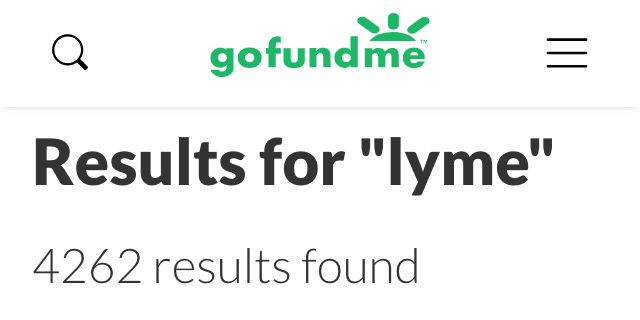 Many turn to crowdfunding to afford the expensive hope sold by “Lyme literate” practitioners. Quackery is therefore fed by friends, families, and even whole communities who think that they are paying for a life-saving treatment. When the patient is a minor, the crowdfunding can facilitate Medical Child Abuse. The LymeScience list of Red Flags of Chronic Lyme Quackery may be useful for determining if a fundraiser is for fraudulent treatments. Below are articles about fundraisers for quackery, many that specifically discuss Lyme disease. Snyder J, et al. Appealing to the crowd: ethical justifications in Canadian medical crowdfunding campaigns. J Med Ethics. 2017;43(6):364-367. Vox F, et al. Medical Crowdfunding for Scientifically Unsupported or Potentially Dangerous Treatments. JAMA. 2018;320(16):1705-1706.